A three-phase approach based on the analysis of behaviors to detect a hostile scenario. Personal data protection and security “by design” are the holy grail of cybersecurity. By placing the user back at the heart of the process and requiring providers to take security priorities into account as early as the product design stage, they make for a virtuous momentum that has been speeding up ever since the GDPR came into effect. Yet in the hyperconnected era, where security and safety are intermingled, “by design” remains a constant challenge and calls for a global response. On the societal level, how can we supervise the growth of new customs without curbing innovation? On the legal and prescriptive level, how can we establish coherent and scalable compliance frameworks? On the operational level, how can we cover all stages of software and hardware’s life cycle, from design to death? On the technological level, will “formal methods” enable us to achieve our “zero defect” goal? On the business level, how can we turn “by design” into a competitive advantage? Finally, which pitfalls should be avoided and which limits does this approach entail? Are cybersecurity by design and the IoT a lost cause? The Internet of Things really challenges the “by design” approach, as it comes with no security standards, a wide range of protocols and technologies, little to no best practices in terms of conception, a reverse engineering made easier by very accessible products, billions of disseminated and mostly unsupervised equipment, etc. Which new threats is the IoT facing? Can product security and reliability be guaranteed during the whole lifecycle? How can privacy be involved? Innovating in cyber security: yes, but how? The French cyber ecosystem is prolific. Yet innovation in the field is facing several obstacles, such as intense and costly R&D, difficult scaling, fragmented solutions, insufficient investment, etc. French start-ups are thus struggling to grow. Which public and private mechanisms could help stimulate and support innovation? What are major technological priorities? How could promising projects be accelerated? How can experimentation and proofs of concept be strengthened, to allow innovative solutions to enter the marketplace as early as possible? 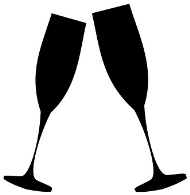 Champagne reception on Tuesday 22 January 2019 at 4.00pm on the Airbus CyberSecurity/Stormshield stand.